So after my last post, I did go back to Next for silver shoes...but not the silver shoes I featured. I tried on the heels again but practicality won over glamour and while I browsed, I spotted these silver beauties. 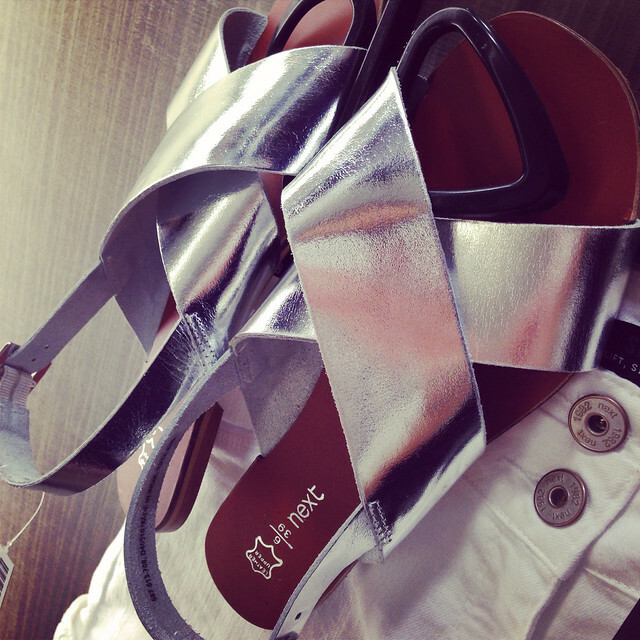 I've had a silver sandal on my list to find for a while now. It's very hard to get comfortable ones that don't fall into the Birkenstock space...and while I love my Birks, I wanted something that looked a bit different and ideally was a bit dressier but not all sparkly and bejewelled. These are FAB - so comfy, real leather and thanks to the cross over detail, they make my wide feet look narrower. 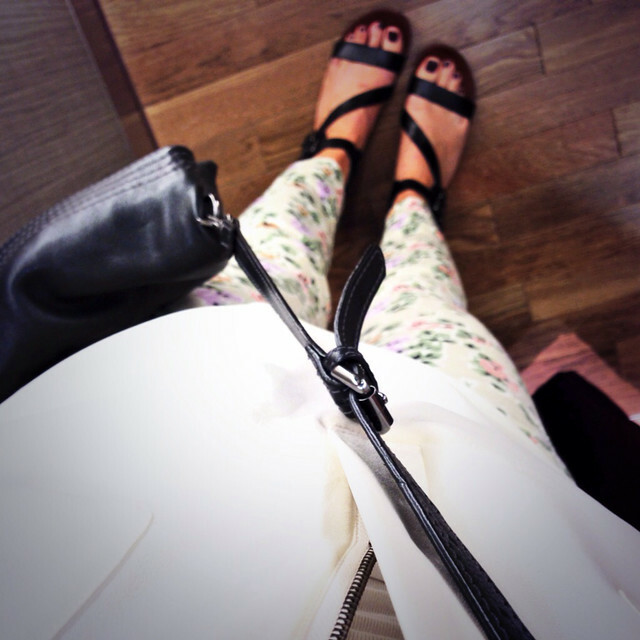 Wearing the sandals today with denim shorts as it's another cracker of a day here in Belfast! Last few days left to enter my Michael Kors competition if you haven't already - read all about it on this link. We have had doom and gloom for 2 days now but no rain so you don't hear me complaining! ADORE silver shoes and these look great!! I totally love those silver sandals - think I may be paying Next a visit. Cute outfit. The shoes are just enough sparkle and bling for summer, but not so over the top that people will only see your feet coming, lol. LOVE your pedicure. That is a reminder to me that my toes need a little love, too. Hope you've enjoyed the sunshine today! 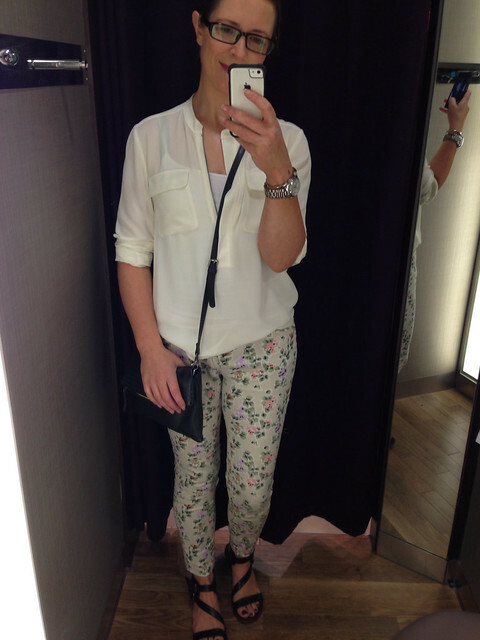 I really like those floral trousers, will you wear the silver sandals with them in time? Would LOVE to win these items! Adore those sandals, I need (want) a pair now! Those sandals are super cute! I would pair them with something toned down and simple to bring the focus on them.